Can we trust the Tablet? 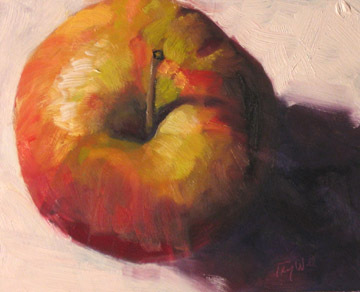 "Steve Jobs has announced he is to pursue a career as an artist. His work will be exhibited by Green Park tube""
Did you hear? It seems Apple is planning to launch a shiny new toy. Perhaps an easier question is “have you not heard?” You’d have to have returned from a month-long trek through the hills of Kathmandu to not be aware of this revelation. Every news site is hyping it so much you’d think Apple has conceived a new way of slicing bread. But the thing is – we haven’t heard it from the horse’s mouth yet. If you’ve been busy finding yourself in Kathmandu you might also have missed our own news – Edelman launched the 2010 Trust Barometer yesterday. If you haven’t checked it out yet, please do. As we trustworthy types do, we were chatting about the research yesterday and Steve Jobs cropped up in conversation. As he does. So to catch you all up – once again Technology is the most trusted industry according to our research. Well done us. And we’ve moved from a shareholder to a stakeholder world where transparency has grown in importance. The findings also show that it’s no longer all about the CEO. Its lowly people like you and me that people want to hear from (you do, don’t you?). The trust is no longer linked to the job description. (Though as an obsequious aside – it is still worth listening to the likes of Robert Phillips and Richard Edelman. Not only are they interesting to listen to, they also help pay my bills). But you get what I mean, companies have to look beyond the bucks and the board room when asking for a consumer’s trust. So compare this to Apple. Jobs is the messiah for many, a heroic entrepreneur for our time. But his health issues last year further underlined the important of not putting the whole company’s eggs in a CEO’s basket. Transparency is usually linked to openness in corporate dialogue. Compare this to the Tablet, which is so shrouded in secrecy they’ve probably developed an invisibility cloak especially for it. Following the fanfare of this evening’s press conference I’m sure the Apple spokespeople will return to their imagination lab in the bowels of a volcano somewhere to a chorus of “No Comment”. So in a conventional sense there is very little transparency. However – there will be an awful lot of #iSlate conversations. So what does this all mean? Well the Naked Pheasant himself put it nicely when he said that the “trust is with the art not the artist.” The product is the king, not the person. That’s where the consumer trust lies. Mr Pheasant continues “how many times have you seen a friend showing off an iPhone in the pub?” The Boss Bird has a point and attached to the great product is some great conversational marketing – the iStore adverts are a good example. It’s a great approach to promotion and one that is too often ignored: ensure the product is blisteringly brilliant – and the rest will follow. If you build it they will come. When the conversation is around the art and not the artist, you are only as good as your last painting. I’m fairly unmoved by this whole iSlate nonsense. No doubt that this is way computers are going, but it’s going to have to be more than just a big iPhone in order to justify all the ridiculous hype. Apparently there was an earthquake in some place called Haiti the other week. Who knew?! PS: Far be it from me to be an iPedant (much), but I think it’s KatHmandu. You don’t get it do you? How easy was it to copy the Ipod and NOBODY has been successful at doing so. Zune what? You can’t copy MAGIC my friend, and that is what Apple has. Pure Magic. Oh, I can assure you that I absolutely get it. Apple has a magic brand but can’t compete with the big guys on economies of scale. As Xbox caught up with PlayStation, so handset makers are starting to do with the iPhone, so someone like HP will bring out an iHype rival for half the price and eventually clean up. There will always be Apple fanboys, much as there will always be Porsche drivers, but in the real world economics will take a bite from the Apple eventually. ‘Twas ever thus. I bet you think David Blaine has pure magic too, don’t you? Apple makes nice-looking gadgets that work well, packages them in pretty boxes and sells them to fashion-conscious consumers in stylish stores. None of this is rocket science. Thanks Jennings – in my defense I checked on Kathmandu. See. You can’t trust Google. I’m also fatigued by the whole hoopla. Show me the goods, then let’s talk. But in terms of PR it’s interesting. How much does over-hype hurt the product? Like you say if the iSlate, or whatever it will be called, is released to a whimper – if it doesn’t impress – it’s going to hurt the brand a lot more after all this nonsense. But iGuess (see what iDid there?) Apple isn’t wholly to blame. The media seems to be so besotted with them that this circus is unavoidable. If Apple does announce a bigger iPhone like device that comes preconfigured with content subcriptions to TV, films, music, books and magazines, I think they’ll blow the market away. I’ve had an iPhone for 4 months and I already use it to watch TV and movies in the home, read news and subscription content, play games and surf the web when I don’t need to fire up a laptop. It’s a genius piece of kit and I can see massive demand for a larger device that amplifies those capabilities esp. when linked to a home Wi-Fi connection. Now from a PR point of view, Luke you and the Pheasant have hit the nail on the head, the product has to do the talking, and to be fair to Apple, rarely – if ever – has it fucked up on the marketing front. Simplicity is generally the watchword, well that and almost Soviet-style secrecy around launches. Can’t see that changing. The challenge I see to Apple is that otehr tech vendors have got good – if not better – technology on the market. Apple is a leader in innovation not necessarily product and the gap between market leader and the rest of the field narrows year on year as product lifecycles are cut thanks to better engineering and design processes. Apart from Sony, no one has really come close on the iPod compete, but HTC and other vendors are definitely chipping into the iPhone market and if Apple does announce a Tablet/Slate device then the big guns like HP [client], Dell, Lenovo etc. start to appear on the radar and they have the muscle and the cache to provide a serious alternative, esp. if they sit back and let Apple take the initial plaudits while also making the initial mistakes (which any new device will always have). So the interest for me lies in seeing how Apple keep the brand loyalty in an area where they won’t be the only big gun. I’m sure the device will be brilliant, but 3 months down the line they could be looking at 4-5 competiting devices with higher specs and lower price points. In a recession (yes I know w’re supposed to be 0.1% out of it now but come on), brand loyalty only goes so far and as Android handsets have shown, Apple isn’t the only fruit. “When the conversation is around the art and not the artist, you are only as good as your last painting.” Surely, that’s the way it should be? Or am I missing something? It is the way it should be Antoine, but can think of a number of companies that often trade on past glory while delivering below-par goods. These brands often rely on PR and Marketing to drive sales, but you can’t ever get away from the fact that consumers won’t buy the buzz if they don’t fall in love with the kit. That’s the way I see it anyway, but perhaps I’ve just talked myself out of ever having a career in PR. Oh wait. Whoops.